In the late 1800’s and early 1900’s there was a blacksmith. Farmers came to this blacksmith to have their plows repaired. They’d complain to the blacksmith all the problems th at affected them. This blacksmith took their complaints seriously. He also listened to other farmers who offered solutions they found to the same problems. This blacksmith became the hub of information whereby both problems and solutions were both between his ears. The blacksmith decided that he’d start a magazine, which offered advice and tips to farmers. He understood that the more profitable and happy he could make farmers, the more customer loyalty they’d have towards him. The blacksmith showcased other farmers. Farmers who provided solutions to common farmer problems to appear as guests in his publication. The blacksmith didn’t talk about his blacksmithing services, albeit he did run advertisements for free. The main purpose of the magazine was to educate, entertain, and inspire farmers into having happier, healthier lives and careers. 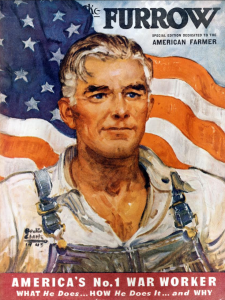 The magazine, over 100 years later, is still in circulation with every farmer in America. It’s called The Furrow. The blacksmith’s name is John Deere. So what does John Deere have to do with marketing for your dental practice? Farmers disagree on Chevy or Ford. But one thing they all agree on is nothing runs like a Deere. I believe this has much to do with the educational resource The Furrow has become to farmers. 1. Become a Media Company. Like John Deere, the best way for you to build trust, respect, and familiarity is to offer value beyond your products and services. John Deere’s magazine, called “The Furrow” has mentioned the John Deere brand in the editorial section of the magazine about 18 times in the past 100+ years. John understood that people don’t care what you’re selling. They care what you’re telling. When you offer tips that make your patient’s lives easier, they listen up. Whether it’s a print magazine, podcast, or your website or blog is an after thought. The medium is not the main issue. The message, and whether it fits into a comprehensive content marketing strategy, is paramount. If you first take the approach of being a media company, one designed to educate and entertain your ideal patient types, where building an audience is paramount, then you are on the right track. You will eventually be able to monetize that audience through offering your dental services. And since you’re such a respected and differentiated person in their eyes, you can bet that many in that audience won’t visit Doctor Down-the-street when they are aware of their dental needs. Become a media company that just happens to offer dentistry, just like John Deere became a media company that happens to sell tractors. I promise this audience-first approach is the safest way of attracting new and better patients, other than word of mouth marketing. In fact, people who are fans of your content will refer to you, even if they’re not your current patients! When you create a dental media company in your community, you build an audience of raving fans that know, like, and trust you as a dentist. 2. Stay Relevant to a Specific Patient. If you sit down to write a letter, do you write it to everyone? Of course not! An email “blast” campaign that aims to appeal to everyone, will appeal to no one. There are two basic ways to make sure that your message doesn’t broadcast to the wrong audience. First, segmentation of your message is critical. If you offer lots of specialty dental services, this doesn’t mean everyone wants to read about all of them. Having one message per website page, email, and brochure is important. The other half is to distribute the message according to what really matters to that specific patient. Just like writing a letter, emails should be so laser targeted towards that specific patient’s needs and wants, that you never run the risk of bothering them. For instance, get permission from highly interested prospects of dental implant procedures. Send them only useful, engaging content on the matter of dental implants only. The monthly newsletter should be offered only to those genuinely excited about receiving it. Be sure to always ask permission, and stay attuned to your patient’s feedback on whether the content is helpful and relevant to their needs and wants. Read also: Should you Write a Book? Many dental practice management consultants have found patients offer fake emails for re-care reminders. I believe this is a result of dental offices (and other businesses) sending too much irrelevant information to their patients via email. If your message is always one which your patient actually wants to receive, you will come to earn their trust. Through a comprehensive dental marketing strategy that is centered on providing education to your ideal patient types, you can gain marketing insights through the way patients engage with your content. You’ll become the neighborhood trusted dentist. Consistently, over time, your content will cause your community to come to you for that dental implant or other specialty procedure. Whether they have another dentist or not. 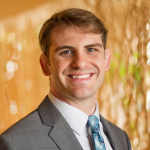 In this interview with Dr. John Nosti, John discusses how many patients come to him for functional cosmetic dentistry, simply because they felt like he is a thought leader in that space. So, how about yourself? What do you want to be known for in your community? Justin Morgan is an SEO expert known as The Dental Marketing Guy. He is committed to helping dentists become known in their communities through becoming an educational resource. Justin is the author of The Book on Dental Marketing, set to be released by January 1st, 2017. Awesome post Justin! Completely agree that every business today needs to be their own media agency.